Simple is what we are all about. We keep life simple for the kids during the summer, a time when what they really need is simple fun. Less pressure, no drama, no traditional academic classes, yet strengthening, growing and stretching their minds, all while having a good time. We believe passionately that all kids deserve at least part of their summer to be fun, carefree, safe and active. Located in Montgomery County, MD, OutDoor Strong is a new, free, Summer Camp program offering middle school aged youth an unforgettable summer experience. Our premise, our formula, is quite basic – we keep things simple. OutDoor Strong exists for youth who typically would not have an opportunity to participate in a summer camp environment. The camp was founded by Nancy Balph, who became inspired after watching a “60 Minutes” interview of St. Benedict’s Prep School for Boys, located in Newark, New Jersey. We would encourage anyone reading this to take 12 minutes and watch the “60 Minutes” piece, found on their web site, www.sbp.org. This interview tracked the lives of boys who attended the school and the success rate is undeniable. The school has transformed thousands of young boys into proud, wholesome and upstanding young men. They are using a tried and true approach and it works. The goal of OutDoor Strong is to create a similar environment, minus the academics. After visiting the school and interviewing both students and staff, Ms. Balph’s concept of OutDoor Strong started to blossom. With the help of her local church, Silver Spring United Methodist Church, which was willing to become the Fiscal Sponsor for the camp and provided invaluable guidance and support, the camp quickly developed into a reality, launching on June 26, 2017 with 22 very excited boys and girls. OUR INSPIRATION — 60 Minutes segment on St. Benedict’s Prep School for Boys, in Newark, NJ. Our first summer camp session ran for 9 weeks. We met Monday through Thursday, 10am to 3pm and Fridays, coined our “Fun Fridays” we met from 11 to 2. Each day, the kids gathered at their local middle school where we picked them up by bus to transport them to the camp site. In the afternoon the bus took them from our camp site back to the school. We provided lunch and snacks each day and spent our days playing sports: soccer, baseball, basketball and football. However, sometimes we had the most fun with the spontaneous games we made up. We spent one day each week doing volunteer work in parks for the National Park Service. “Fun Friday” we took field trips, did scavenger hunts, visited museums, the Anacostia River and visited a local pool a few times. We had many, many wonderfully gracious and generous people help us by volunteering their time and energy to launch our first summer — which literally came together in a few short months, raising just enough money to get OutDoor Strong open and successful for its first year. Outdoors is where we spend all of our time — in parks (nature) — and we stay physically and mentally active. Our campers are given some free time each day, however for the most part we are either playing team sports, soccer, baseball, basketball or football or working on drills to hone skills for these sports. We also donate time each week, doing local volunteer efforts, weeding and removing invasive plants from the parks, picking up trash in the parks and the Anacostia River. This allows the kids a start towards their required Student Service Learning (SSL) hours for graduation. We provide a variety of programs and activities by bringing in guest volunteers, examples for this are: promoting group discussions on what it will be like attending a new school, so heading into Middle School or High School, what can we do about bullying, racial tension, and talked about possibilities as next steps after graduation. We do our regular activities, Monday through Thursday and then each “Fun Friday” is when we do field trips, go to a local pool, take trips into DC to sight see, via the metro. Our first “Fun Friday” was spent learning how to navigate the Metro system, how to buy or put money on a card and how to read/understand the maps. This past summer we had scavenger hunts, visited an authentic Spanish Tapas style restaurant, La Tasca, where we learned how to make Paella. La Tasca Learning how to make and eat Paella — which do you think the kids enjoyed more? Dumbarton Oaks, Georgetown, DC Who says weeding can't be fun. With the exception of really inclement weather all our activities take place outdoors, in nature, keeping kids physically and mentally active all day – yet keeping it simple. Imagine watching the face of a kid, see for the first time a deer out in its natural habitat, watch it freeze and then bound away with its fawns. We met many dogs that we called friends, we watched turtles basking in the sun, saw eagles, blue herons, all in their natural habitat and even visited with some horses a few times. It does not take long for these kids to forget their daily troubles or worries in this sort of healthy environment – even if it is only for a couple of hours each day over the course of a couple of months – it makes a difference. One of the benefits of keeping it simple is that we can keep camp costs down this way, thus allowing us to make the camp free to those in need. We provide transportation to and from the camp and lunch each day, and provide for our Fun Fridays. This is basically where the costs are – see our section on Donations to learn more about how to help. Nancy spent the majority of her adult life as a working professional. Restaurant owner in NYC to Construction project manager in the Metro DC area. One thing that has remained constant for her is the importance of staying physically active. After watching the “60 Minutes” interview of St Benedict’s Prep in 2016, she felt called to give back and this is how she is doing that. Evelyn is a certified candidate for ordained ministry in the Greater Washington District within the Baltimore-Washington Conference. 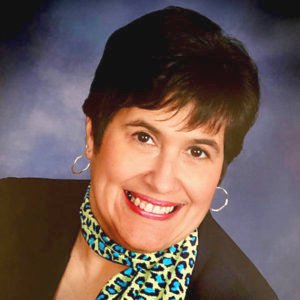 She is currently serving as the Associate Pastor for both SSUMC and Hughes-El Buen Samaritano.